Discussion in 'Site & Server Administration' started by pratik, Jan 6, 2019. 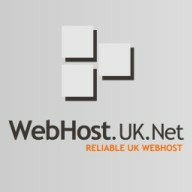 I have bought a hosting plan at HostGator and it comes with a dedicated IP. I am currently using the email which comes with the hosting. After using it for a month I realized that emails do not work in certain countries. I mean if I am travelling to US my emails won't work. After doing some research I found that Office 365 would suit my need well. But since Office 365 is subscription based. I would like only new people on my domain to use Office 365 and others to use email hosted at HostGator. Can this be possible? Would I need to make a server setup for this? Mine is a startup and I really don't have resources to setup a server or hire an IT guy. Thanks in Advance for your feedbacks / solutions. If you use office 365 then you cannot use hostgator mail server as you will be changing your MX record. I would suggest you either use a a subdomain or different addon domain for using hostgators mail service. I don't want to have sub domains or different domains for the same Company employees. I'll still search for some hybrid solution. If you come across anything please do share.